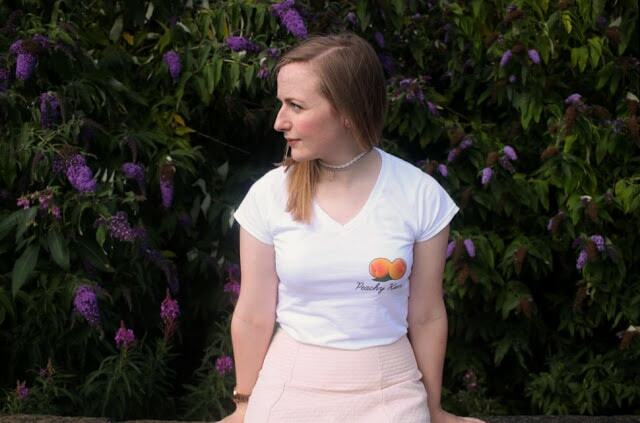 Peachy Keen – My t-shirt design! There are a few things in this post which are so very me. Namely, the white v-neck, the boots and the very me phrase of peachy keen. I bring them all rolled up into one outfit post and a very exciting collaboration. The t-shirt detail is the real key to this whole outfit. Moteefe got in touch suggesting I should get on board the designing train - anyone can create their own tee with them. Completely free reign of what you create (obviously if it's not already out there), with a selection of styles to print on and your own mind as your creative limits. The process is really straight forward, I found a font online and created an image, uploaded both to the site and then got started into the quick process of the final design. You can then set your t-shirt for sale, you set the price and - depending on what's set - you have the chance to make some profit off it, too. It's a pretty cool idea and something I would have been even more invested in as a teen. 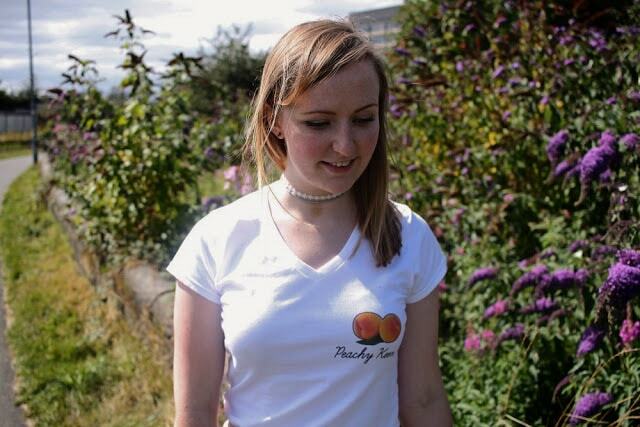 So here's my final design, the peachy keen tee, do you love? I'm obsessed - primarily because I am branded with one of my most-used phrases. Plus, it conjures up images of Rizzo in Grease, so what's not to love? 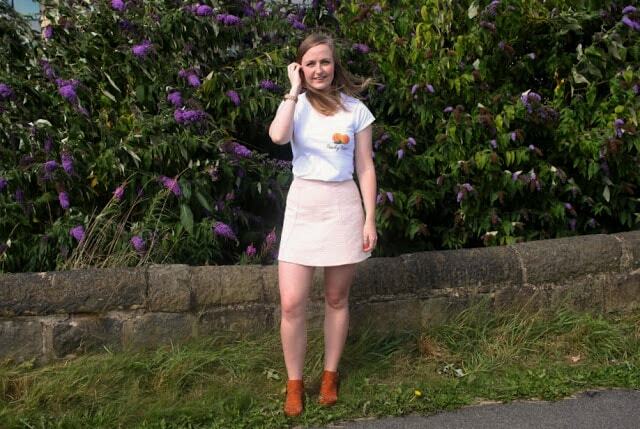 If you're in the same obsessed boat, you can grab your very own peachy keen tee from Moteefe. A limited edition print by yours truly. There are some other cool designs already on the site as well, or have a whack at creating your own dreamt up print (and definitely share it with me if you do). It's peachy keen, jelly bean.